Our NEW In Cabin Pet Airline Kit include all the handy accessories to make pet airline travel convenient and hassle free. We highly recommend the DryFur travel pads for your soft in cabin pet carrier to add comfort and peace of mind for you and your traveling pet. PLEASE NOTE: This item is not returnable for refund if the item is opened, soiled and/or has been worn or tried on by your pet. If item has been used it can only be returned for exchange in size or replacement if the item is damaged or defective. We do not accept returns if you are unable to train your cat to accept the Harness. 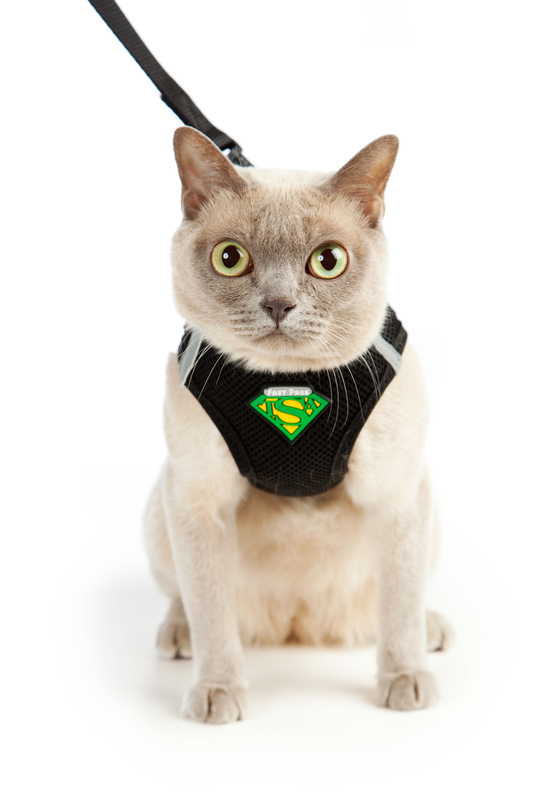 So if you are traveling soon and do not have time to harness train your Cat you may want to check out our TSA FAST PASS® Leash & Collar. It is also designed not to trigger any alarms during your TSA airport inspection. Most cats take to them immediately. Worried your Pet Carrier Bag will be rejected at airline check-in, be sure to check out our NEW 100% AIRLINE APPROVED Pet Carriers. Our In Cabin Pet Carriers comply with all airline requirements for Size, Safety & security and Ventilation requirements. The whole process of ordering was extremely swift and easy to go through. I got my order before I even could wink. It went extremely fast and everything arrived in perfect conditions! Thank you so very much and I'm so happy that I hired your services. Havent used yet but harness fits perfectly, shipping was so fast and everything included looks good and is ready to use! Flying from Japan to US with my cat and have everything I could possibly need with this kit!!!!!!!! Best of the Best! This kit has everything you need for in cabin flight. 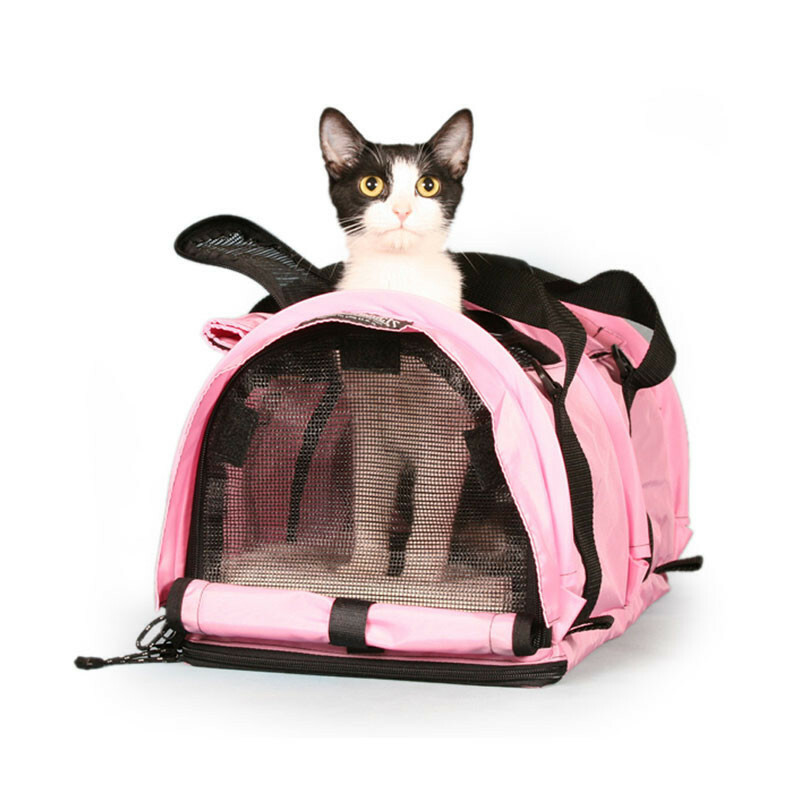 I will be flying with my 2 cats in the summer of next year and after purchasing this kit and researching the airlines, I have no worries about flying from Japan to the US. Thanks DryFur!! We are taking our 2 9 month old kittens on their first airplane trip and I have been searching for a more comfortable harness for them. While no cat truly likes to wear anything except its own fur, our two are very happy to be in the harness included in the in cabin kit. The are glad that it that does not bind them. I am also glad to have the collapsible dishes, identity tags and the document storage information to put on their crates! Todd and I met when my cat Patches was about 17 years old. Three years later she was in failing health and we had to put her down right before we were married. We honeymooned in Bermuda at an inn with a house cat named Tinsel who visited us every day and we knew we had to have a cat in our life again. After our honeymoon we visited the Upper Valley Humane Society and a beautiful tortoise kitten jumped into my arms. We took her home and named her Tinsel. She lived with us for 18 years giving us joy and pleasure while we treated her like an only child princess! March 2nd, 2012, she had a seizure and we had to put her down very quickly since she was in a lot of pain. It was a very sad experience for both of us. By July we realized we had to have “cat love” in our lives. I started casually looking on PetFinder.com for young cats in our area. One night I was scrolling through the young kittens at Second Chance Animal Rescue in Littleton, NH and the name “Tinsel” popped up. I clicked on the link and it opened to a cute picture of “Tinsel and her brother, Patches.” We were stunned and knew we had to have them! We adopted them in July and they have been two bundles of joy in our household. We do not doubt we were meant to find them. We have kept their names, but added "Jr." to each. I just received the kit. My dog loved the harness. I have a mini pincher and the medium size was perfect for him. It is very soft and he likes it, also I feel safe for him because I don’t have any more the stress to remove his collar in the airports. Also I receive my order very fast and I leave in Greece. The Kit is perfect, all in one small package. I believe you think for us before us. Very smart and useful idea. Thank you very much.